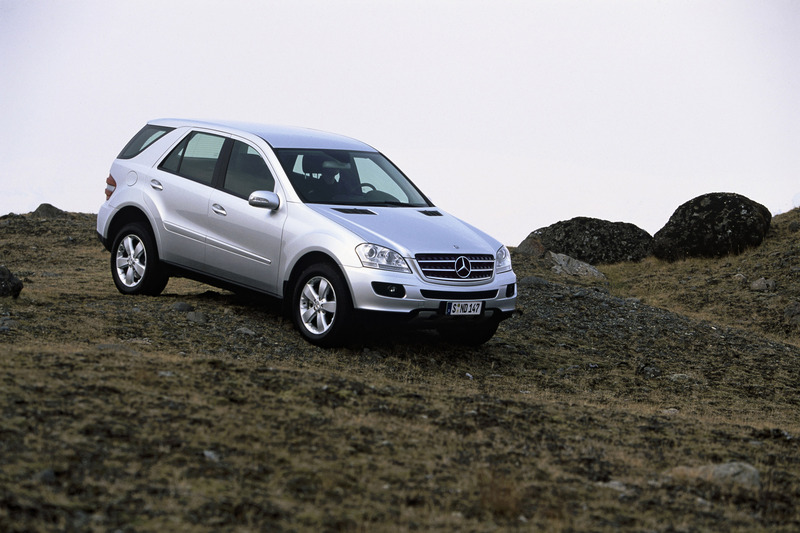 The M-Class, the trendsetter among modern off-roaders, is further extending its leadership position with a new engine. 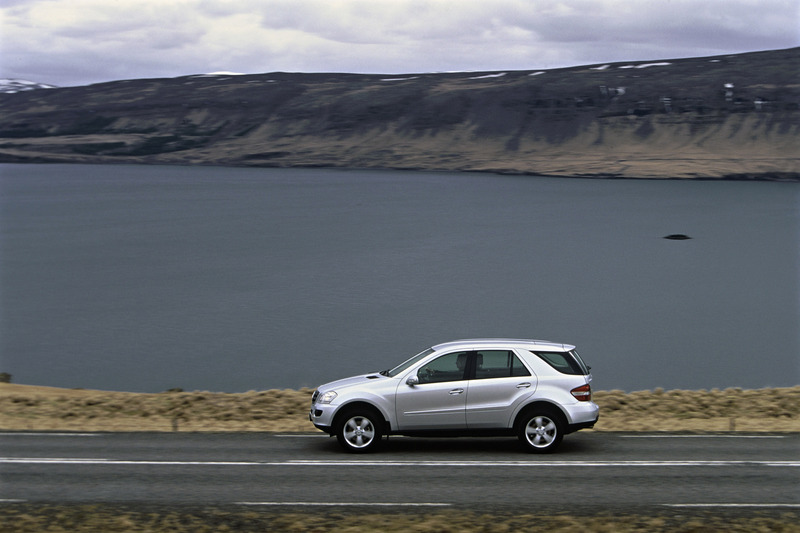 The ML 420 CDI 4MATIC engine is equipped with a 225 kW/306 hp V8 diesel engine with the latest generation of CDI technology. 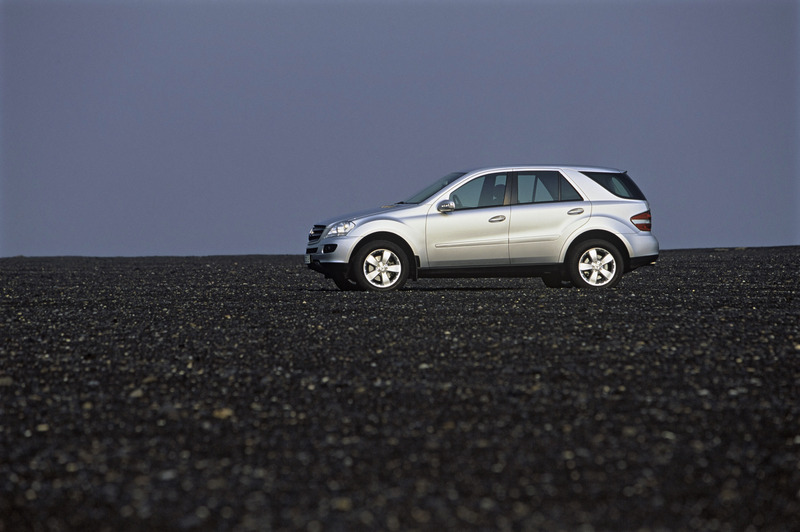 Superlative performance combined with modest fuel consumption are two of the strengths of this all-wheel drive vehicle. To further minimise on the already low level of exhaust emissions, this powerful engine is fitted as standard with a diesel particulate filter and complies with the EU4 standard. Interested customers can order this model with immediate effect, starting at a price of Euro 65 540.- (Euro 56 500.- net). Deliveries are scheduled to start in October 2006. 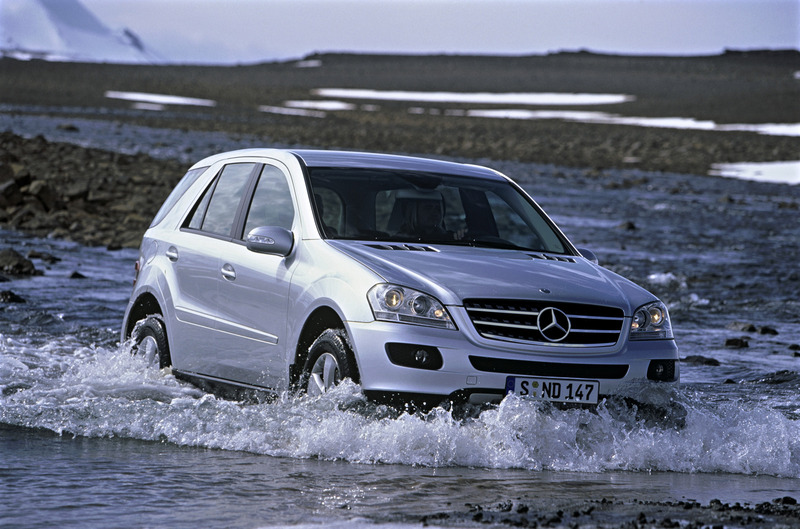 Barely a year after the market launch of the M-Class in summer 2005, the ML 420 CDI 4MATIC now rounds off the range of diesel-engined models. This latest design of V8 diesel engine in the ML 420 CDI with four-valve technology, bi-turbo charging and variable turbine geometry gives this off-roader a truly exciting temperament. The torque output of the 4.0 litre engine has risen to 700 Newton metres and is available across an engine speed range of 2000 to 2600 rpm. 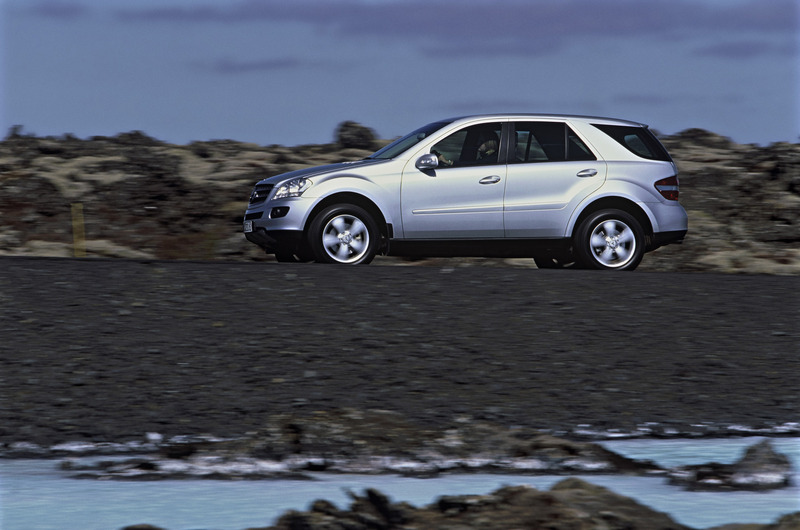 Upgrade measures have boosted power from 184 kW/250 hp in the previous model of ML 400 CDI to a new high of 225 kW/306 hp. This delivers blistering performance, from a standing start and for intermediate sprints, for example when overtaking. 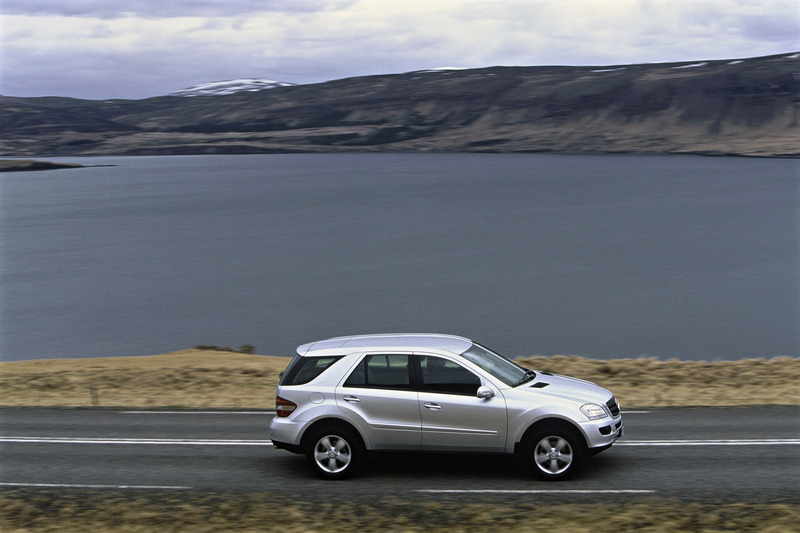 The ML 420 CDI 4MATIC surges from 0 to 100 km/h in just 6.8 seconds and forward thrust does not flatten out until the top speed of 235 km/h. When accelerating from 60 to 120 km/h in third gear, the ML 420 CDI 4MATIC only needs 6.0 seconds. Its high power reserves not only make for impressive sprints but also, operating in conjunction with the standard, seven-speed 7G-TRONIC automatic transmission, it delivers relaxed driving in high speed ranges and low fuel consumption figures. If driven economically, the diesel-engined model only consumes 9.1 litres of fuel every hundred kilometres while average fuel consumption amounts to a modest 11.1 l/100 km. 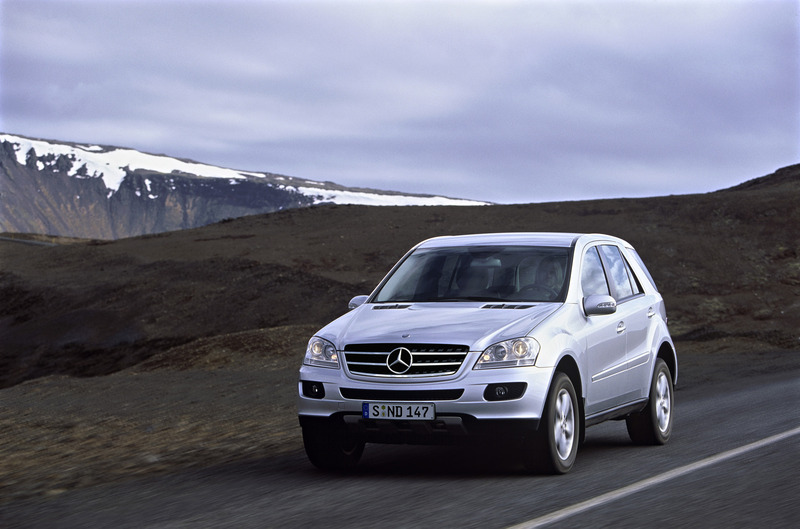 These favourable fuel economy figures, coupled with a tank capacity of 95 litres equip the ML 420 CDI 4MATIC with an impressive cruising range of almost 900 kilometres without a visit to a filling station. This model also outperforms the EU4 limits and operates with a zero-maintenance diesel particulate filter which reduces what were already low exhaust emission levels by a further 99 percent. The enhanced power rating of this new V8 diesel engine was achieved primarily through use of the third generation of common rail high-pressure fuel injection, capable of maximum injection pressures of 1600 bar with ignition pressure raised to 175 bar. Optimized flow conditions also help to improve conditions in the charge cycle and the two newly designed exhaust turbochargers with variable turbine geometry operate even more effectively than every before. With up to five diesel injection points per injection cycle, special perforated nozzles, a new design of piezo injector with more precise fuel injection times and an upgraded exhaust recuperation system, substantial improvements have been made in emission levels. Engine development specialists have reduced noise with an optimised chain drive, a rigid crankcase with generously proportioned engine mountings and additional acoustic baffle plates. The quadratic ratio of bore to stroke and opposing motion on the balancing shaft deliver low-noise operation. 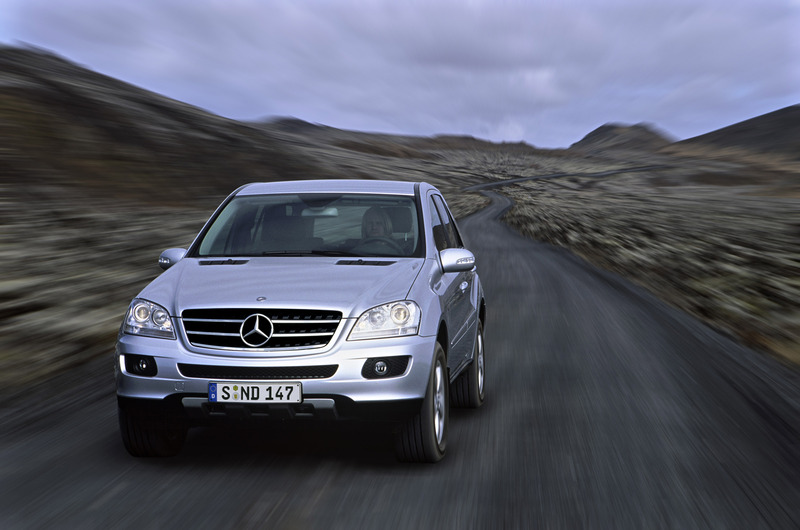 The 4MATIC permanent four-wheel drive system equips the ML 420 CDI with superior drive dynamics under any conditions. In conjunction with the independent coil spring suspension, ultra-precise parameterised steering and the proven Electronic Stability Program (ESP®), this enables the ML to deliver compelling standards of handling, previously the sole preserve of sports saloons. The optional AIRMATIC air suspension system with the ADS adaptive damper system further enhances ride comfort and active safety. 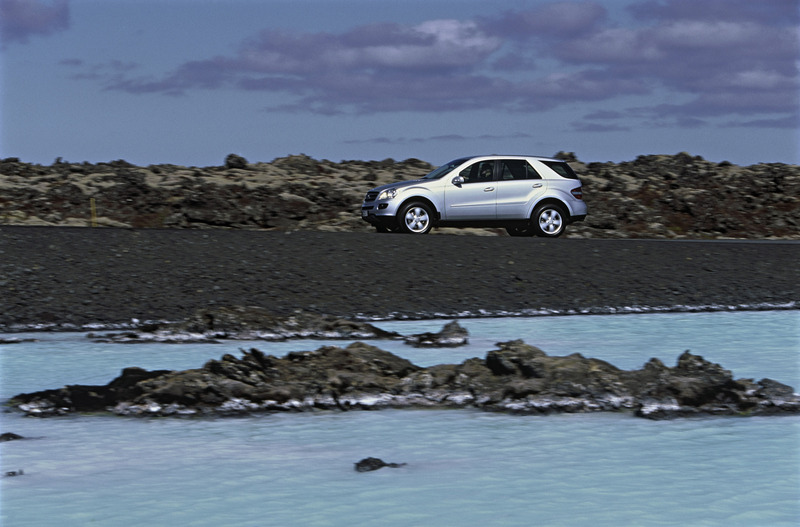 On challenging terrain, the driver is assisted by electronic drive dynamic control systems such as 4ETS, the specially developed off-road ABS system, Downhill Speed Regulation (DSR) or the Hill-Start Assistant. Another optional extra, the Off-Road Pro Technik package, substantially extends available options while driving right off the beaten track. It employs a reduction ratio (2.93:1) in the transfer transmission and multi-disc locks with a locking action of up to 100 % on the reinforced rear axle to achieve this, while the centre differential ensures that virtually any natural off-road obstacle can be negotiated. This system also provides an extended adjustment range for the AIRMATIC system which increases ground clearance by an additional 291 millimetres. The driver can select Drive and AIRMATIC modes using two rotary knobs on the centre console. The centrale info display then provides continuously updated information on the prevailing operating mode. With another optional extra for this class of vehicle, the forward-looking occupant protection system PRE-SAFE®, Mercedes-Benz is once again raising safety standards to a new, high level. The trump card offered by this system is the ability to network passive and active safety systems. PRE-SAFE® uses the sensors on drive dynamic control systems such as ABS, the BAS braking assistant or ESP® and optimises the protection function offered by passive safety elements in driving situations with the potential to cause an accident. Hardwood interior trim panels in "poplar birds-eye look"
Off-Road-Pro Technik package with reduction ratio, 100 % multi-disc lock for centre and rear differentials, modified AIRMATIC (up to 291 mm additional ground clearance, fording depth of up to 600 mm), additional under-drive protection, manual mode for 7G-TRONIC. The M-Class achieved an outstanding result in the crash test conducted by the "National Highway Traffic Safety Administration". 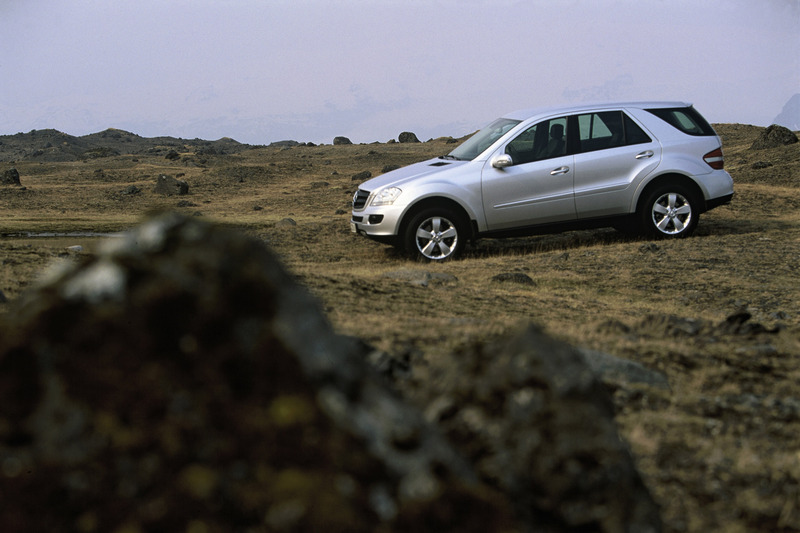 This success story became one of the first ever models of SUV to gain the highest possible score of five stars in the head-on and side impact collision tests. Following a string of successes in all vehicle classes in a tremendously diverse global range of safety tests, Mercedes-Benz has once again proven that there is really just one star you need to have on your car. With its score of 5 stars for head-on and collision crash tests, the M-Class has assumed an absolutely dominant position in the SUV vehicle segment. In the US American version of the NCAP test (New Car Assessment Program), vehicles are evaluated after a head-on collision with a solid wall at a speed of 35 mph (56 km/h). The SINCAP test (Side Impact New Car Assessment Program) calls for a collision involving a flexible barrier weighing 1368 kilograms striking the side of the vehicle beside the front seat passengers at a speed of 38.5 mph (62 km/h). These results provide grounds for optimism about the forthcoming Euro-NCAP tests, due to be carried out in the near future. 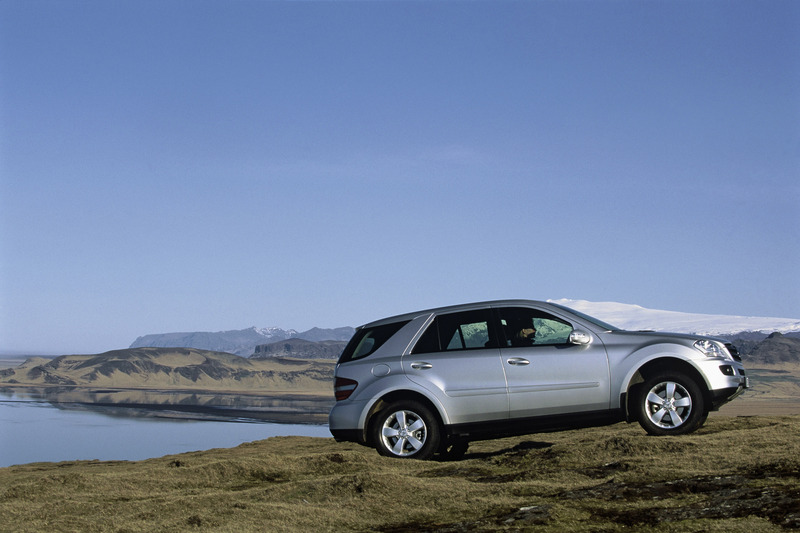 Vehicles like the ML 420 CDI 4MATIC are ideally suited to the towing of trailers. No matter whether a caravan, a boat trailer or a horsebox is hooked up to the towbar hitch on the M-Class, the driver can stay relaxed even while negotiating critical driving situations. 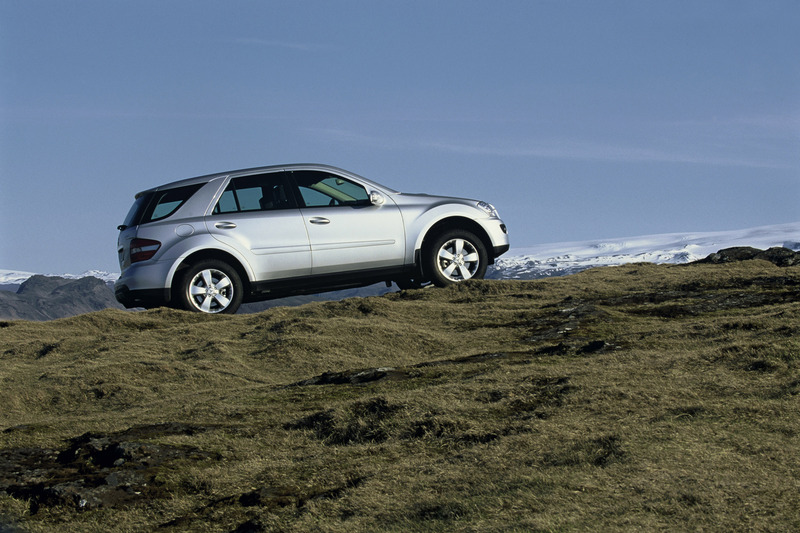 Deep ruts in the motorway, side winds or abrupt evasion manoeuvres on country roads will not disturb the equilibrium of towing load or driver. This is because, right from the design stage, the suspension, brakes and steering system were built to cope with the stresses and strains of towing a load. Anyone ordering an ML Class from the factory with a towbar hitch will also enjoy the benefits of the new Mercedes-Benz Trailer Stability Assist, or TSA for short. This is an additional function on the Electronic Stability Program ESP® which provides greater safety when driving with a trailer. TSA is able to detect the onset of those much-feared pendulum movements quickly and effectively and counteracts them swiftly. To do this, it employs the sensors from the ESP® system to apply the brakes in a targeted and alternating manner to individual wheels, thereby stabilising the vehicle and trailer combination. 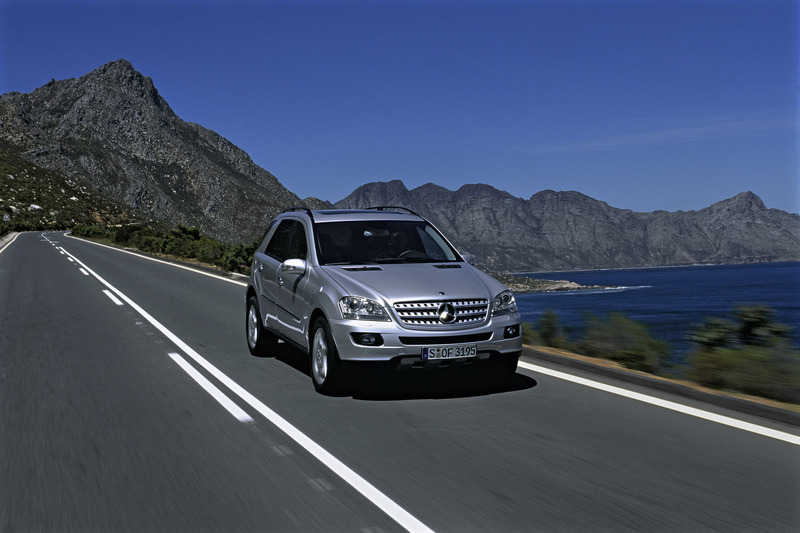 Alongside the tremendous pulling power of the V8 diesel in the ML 420 CDI 4MATIC, the range includes a further two diesel engines. The basic V6 unit in the ML 280 CDI delivers 140 kW / 190 hp while the identically sized ML 320 CDI delivers 165 kW/224 hp. 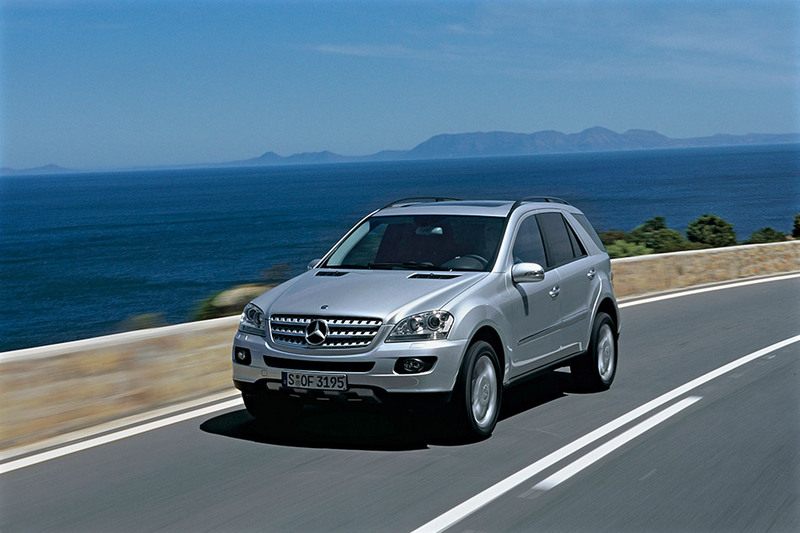 Two petrol engines are also included in the ML 350 and ML 500, delivering 200 kW/272 hp and 225 kW/306 hp respectively. Customers with exceptionally demanding requirements will tend to opt for the ML 63 AMG 4MATIC which, with a power output of 375 kW/510 hp, is the flagship of the model series.